Naseem and Kambiz celebrated all their milestones together in true style, always being mindful of the underlying affection, care and respect that they shared and nurtured. After a unique and memorable proposal in Moscow; where they enjoyed a performance at the Bolshoi Theatre and later were surrounded by sparklers, white roses and live musicians; the couple decided to hold their wedding in Northern Italy. 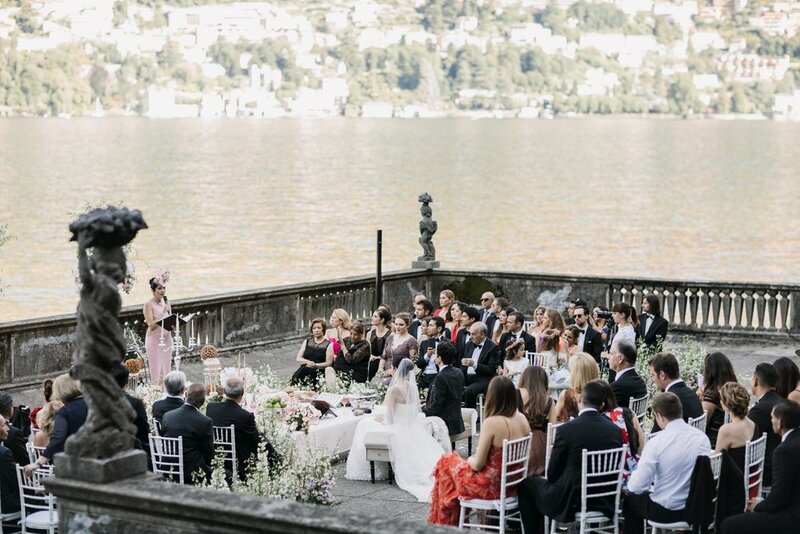 The event took place at the historic lake-front Villa Pizzo, a luxurious 16th century estate where guests enjoyed events in the magnificent gardens, terraces, ballrooms and paths decorated with flowers and candles.